Before I left for my travels this summer, I picked up several pieces at H&M that were the exact look I had in mind for the season. I was drawn to the lacy, eyelet pieces I kept seeing on various sites and was able to scoop up a bunch of them for reasonable prices when I popped into H&M one afternoon. 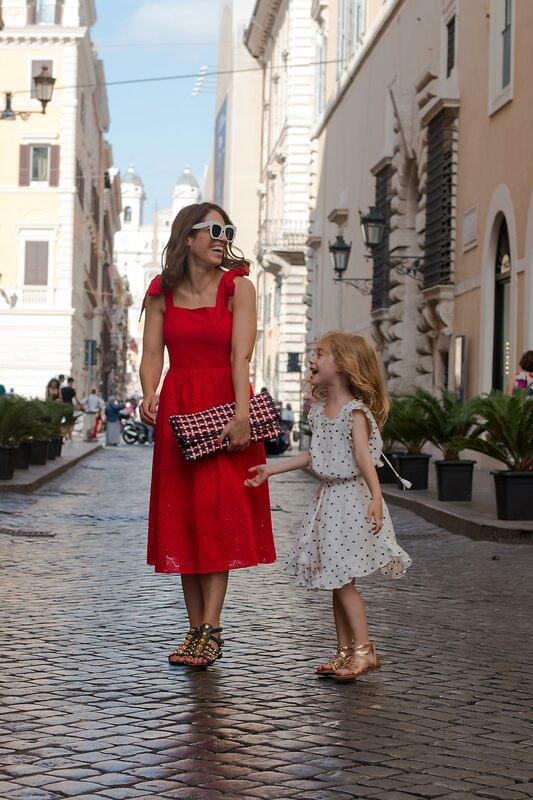 I knew immediately that I wanted to wear this red dress in Rome. It also comes in white but I fell in love with this cherry red. I also picked up a white ruffly top, the blue version of the white short dress below (photos to come) and the white and blue piece I’m wearing here (also below), which I have been using a cover-up at the beach. Although it’s late in the season, I think it’s still worth buying these pretty eyelet pieces now. It’s hard to find good resort wear for a reasonable price. Shop them here. Hope you are all having happy holidays.